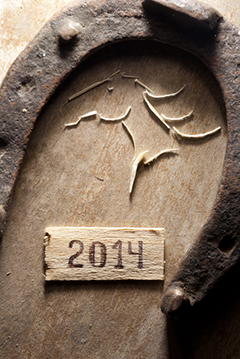 2014: Race Horse or Wooden Horse? 2014 is the Chinese Year of the Horse. But will it be a race horse or a wooden horse? The New Year is a good time to put things into some perspective. This is vital when trying to interpret what is happening in the economy, particularly since we all suffer from the effects of the populist 24-hour media that delights in turning utter irrelevance into “breaking news”. Time then to reflect, for example, that five years ago the financial world and the economy were teetering on the edge of a deep financial and economic crisis. Since then, despite the siren cries of the media, the global economy has been quietly recovering and is likely to see an acceleration of growth in 2014 to above 3%. That is a quite remarkable turnaround when you consider some of the huge financial issues we were facing. Now I don’t want to sugar coat the story, as there are many dangerous issues we have to address, but the backdrop to 2014 is that global growth is likely to continue to accelerate – and very likely at a stronger pace than last year. As the US recovery continues there will be further pressure for tapering the amount of Quantitative Easing (‘QE’) support – the financial drug of choice of the markets. Although this is already being well telegraphed, it may yet cause some market volatility, and potentially unnerve investors and consumers if not handled carefully by the Central Bankers. 2. US Budget agreement and the midterm elections. Although the guidance from the bank of England is for a flat outlook, any significant pick up in recovery and employment may bring forward a rate rise decision. Rates will be going up at some stage, but no one can time it. However companies should be planning for such a change and its impact not just on their own finances but those of their clients as well. Although currently it seems likely to be rejected, this could easily change on the back of poor populist media coverage. If there starts to be more of a question of a vote for separation, this will have a significant effect on investment confidence until there is greater clarity as to what the implications could mean economically. In the meantime don’t be surprised if some decide to hold back corporate investment decisions until the vote is over. Despite the exhortations of certain newspapers, financial reforms are under way within the currency area, there are current account surpluses in the peripheral nations as well as falling unit labour costs in relation to Germany. Add to this that we are likely to see some growth, albeit weak, but in a weak and potentially deflationary environment. This could all impact on potential Eurozone demand. Confidence is the primary driver for any economy and 2014 is likely to see a gradual improvement within the UK. Although households are still under pricing pressure for utilities, the improving employment situation and company start up projections will be having an impact. However, the overhang of youth unemployment and key skills shortages will still have an impact in areas of the economic recovery. On the 12/12/12 we saw the UK on maximum power output and since then we have shut some key power generating capacity (albeit with mothballed facilities available). It is therefore quite a realistic potential for power ‘brown outs’ being introduced and manufacturing companies’ needs being put ahead of those of consumers. CEOs may need to consider stand by alternatives and any impact on suppliers and customers. Here is to a cracking 2014 for all Academy members. Justin Urquhart Stewart trained as a barrister and helped found Broker Services in 1986. Broker Services went on to become Barclays Stockbrokers, where he was Corporate Development Director. In early 2001, he co-founded Seven Investment Management, which now manages and administers around £5.8 billion. In 2012, Justin won the ‘Best Industry Commentator 2012’ from the City of London Wealth Management awards, as voted for by professionals and consumers. He is married with one daughter, two cats and a motorcycle, with an interest in archaeology and writes short stories on the Roman Empire. Posted in: Business Climate, Economy, Growth opportunity. ← Your Strategy for 2014: Steady Growth, Invest to Accelerate or Cut Costs?